Pictured above are the four Bury Knights members who played this weekend in the Junior 4NCL, as well as Amy, the 6½-year old sister of Alan and Adam John. All five have names beginning with the letter A! 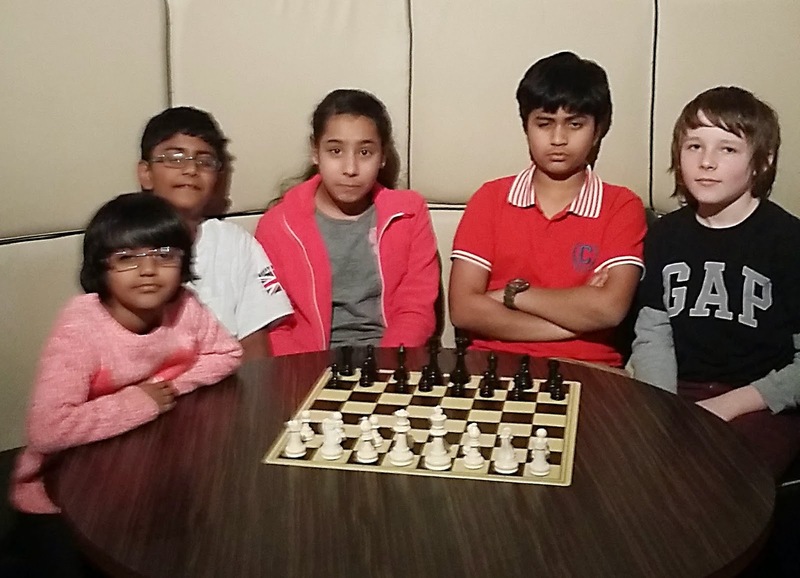 After completing their five matches in Division 1, the Bury Knights team finished in sixth place out of the ten teams, having won two and lost three. Had one of their two individual losses in the final round been a win, the team would have finished in second place. Scores (out of five) were: Alex Sheerin - 2½; Anita Somton - 3; Alan John 2. In Division 2, Adam John scored 3 points. The event was an excellent experience for the young team, who will hope for a higher placing in next year's Junior 4NCL.